“This next one will have all the homosexuals in the room grabbing a vodka cranberry,” composer Buck McDaniel said winkingly to a packed crowd at Mahall’s last Friday night, March 29. “Including me,” he added. It was perfect commentary for the energetic kickoff event of the Cleveland Chamber Symphony’s 6th NEOSonicFest, an evening that celebrated both cocktails and contemporary music. 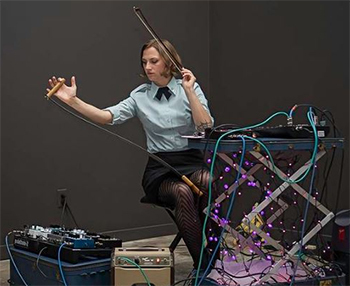 Cleveland Chamber Symphony launches its sixth NEOSonicFest on Friday, March 29 at 9:00 pm at Mahall’s in Lakewood with a concert in partnership with Fresh Perspectives. Uno Lady (Christa Ebert), a one-woman choir, will create electronic loops, harpist Stephan Haluska will present his own electro-acoustical compositions, and Buck McDaniel and Jacob Kirkwood will present a concert version of their live electro-acoustic score written for Cleveland Public Theatre’s Fire on the Water, a meditation on the 50th anniversary of the burning of the Cuyahoga River. The evening will also feature “signature cocktails” available for purchase. Tickets go for $7. 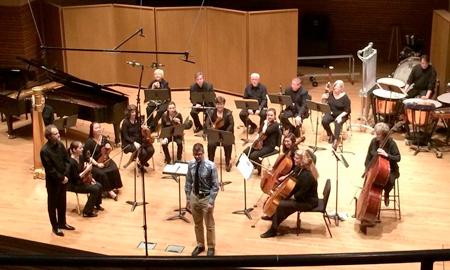 The final event in the Cleveland Chamber Symphony’s 2018 NEOSonicFest gave eight young composers the opportunity to hear their creations played by a professional orchestra led by Steven Smith — himself a composer. 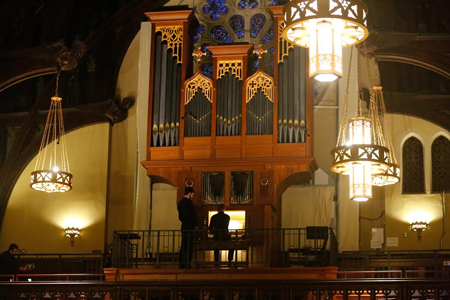 The pieces were performed in Gamble Auditorium at Baldwin Wallace University on Wednesday, April 11. 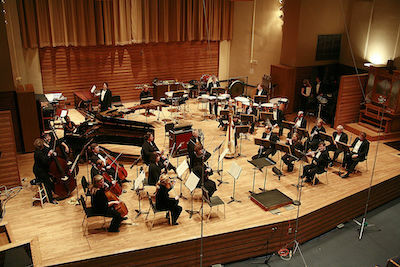 Since 2014, the Grammy Award-winning Cleveland Chamber Symphony has sponsored NEOSonicFest, a festival of new music performed by musicians from Northeast Ohio and beyond. The 2018 festival will run from April 5 through 11 (see below for concert dates and times). The always creative No Exit will return to the Festival on April 6 at Heights Arts. 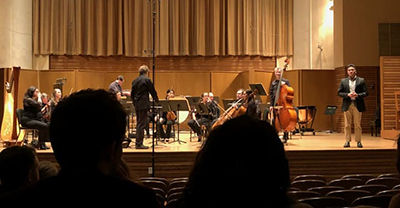 The ensemble was founded by composer Timothy Beyer as an outlet for the commissioning and performance of contemporary avant-garde concert music. No Exit is committed to promoting the works of living composers, particularly the music of young and emerging artists who haven’t yet received either the opportunities or exposure of their better-known counterparts. (Works by Leo Ornstein, Ty Emerson, Per Nørgård, James Praznik, Andrew Rindfleisch & Tristan Murail). 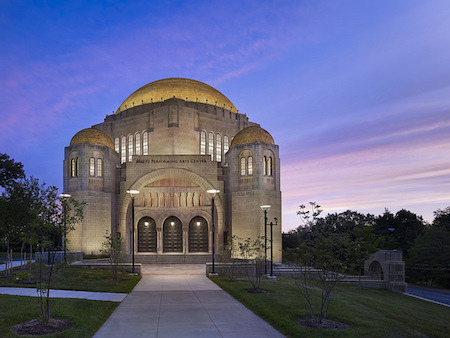 For the past three years, the Cleveland Chamber Symphony has sponsored NEOSonicFest, a new music festival that spotlights musicians and groups in Northeast Ohio. The festival begins on Friday, March 17 and runs through Sunday, March 26 (see below for concert dates and times).